Sydney Wide Cash for Cars is a fully licensed car removal service in Sydney servicing the areas of Sydney and its Eastern Suburbs for over many years. If you want FREE car removals and instant cash payment on your unwanted and damaged cars, we are the ultimate buyers that you are looking for. Remember, you will get a much better quote from us than any auction or third party buyers. We have many valued clients in the Eastern Suburbs Sydney. An important metropolitan area to the east and south east of the Sydney Central Business District (CBD), Eastern Suburbs includes a lot important government areas and businesses. 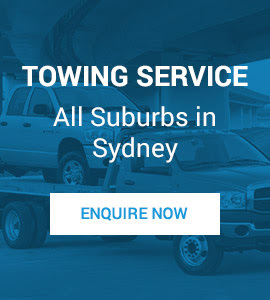 Sydney Wide Cash for Cars has served the Suburbs with integrity and honesty which is the reason why our customers from Easter Suburbs never forget to call us for all their cash for cars and accident car removal, wrecking and recycling services. We accept all kinds of secondhand and used cars regardless of their make and model. No matter if you own a damaged car or a wrecked vehicle, we will do our best to give you top dollar offer of up to $6999 on your vehicle. If you are thinking why you should choose us over other services, here are only a few reasons that would make you never think of anyone else again! Collect instant cash and be done with the entire process in just an hour! Call our expert team and let them serve you at your convenience. Reach out to us at 0434 450 140.